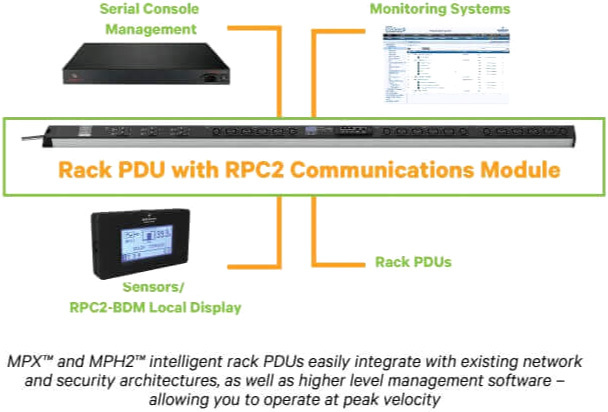 The Vertiv MPH2-R Managed Rack PDU ensures reliable power management with remote monitoring and control capabilities, including the ability to measure power usage at individual receptacles and turn individual receptacles on or off as needed. 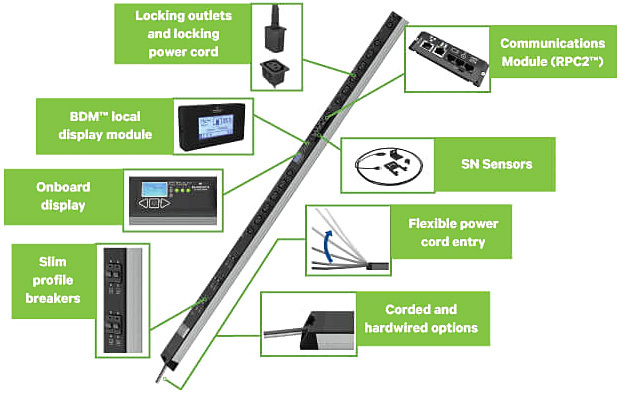 The system provides monitoring of input power and phase power in three-phase models, with 0U, 1U or 2U options and multiple voltage and outlet configurations to meet any need. With seamless appliance and application integration across various systems and platforms, including KVM switches, management gateways and DCIM software, the Vertiv MPH2-R simplifies power management at the rack level in enterprise, hyperscale and edge environments. This model (MPHR3141) is single phase with 20A capacity and 100-240V input/output voltage in a vertical form factor. It has 16 C13 outlets.